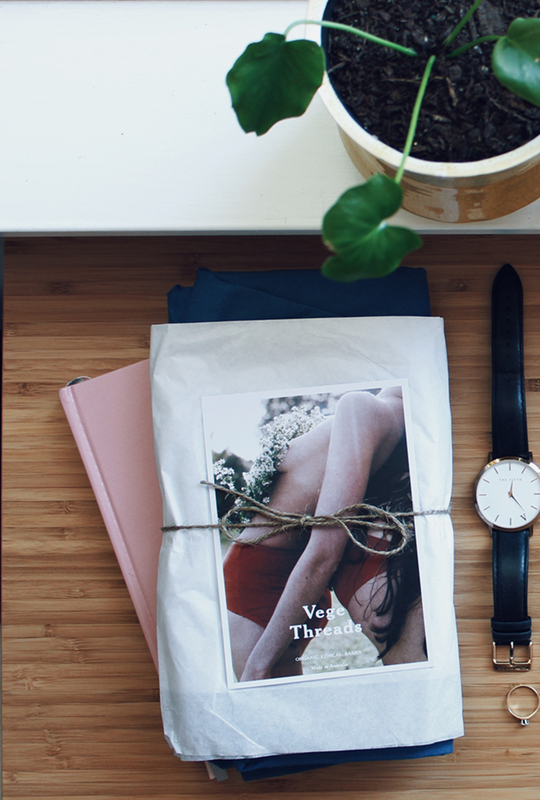 Vege Threads’ simple and timeless designs first caught my eye early last year, before I trailed off to Tasmania. I bought my first piece from the lovely Pitbull Mansion in Hobart and have been slowly collecting the brands’ designs since then! The label makes simple pieces for everyday wear using organic and eco-friendly materials and dyes. Vege Threads cares about treading lightly on the earth. 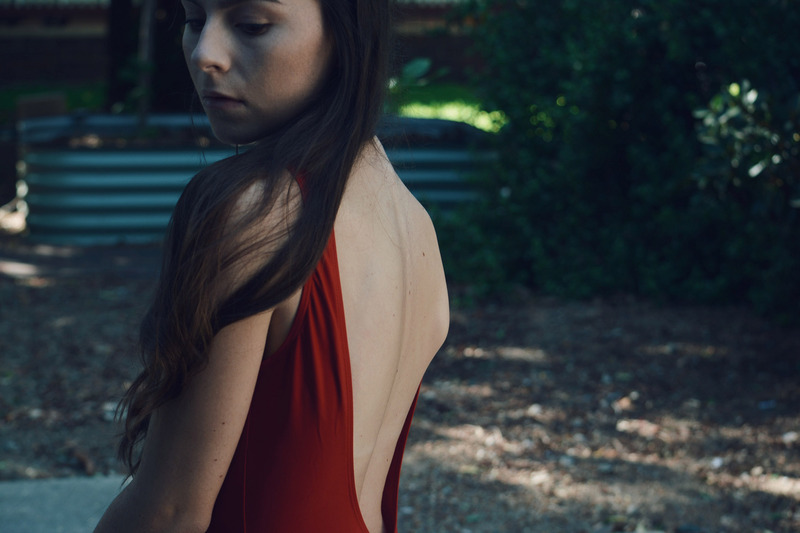 As a member of Ethical Clothing Australia, Vege Threads have an incredible commitment to transparency and ethical supply, and manufacture all their designs in Australia. As of this year, Vege Threads is also a member of 1% for the Planet. This initiative, started by the creators of Patagonia, aims to create a positive impact through working with businesses to donate a percentage of profits back to environmental projects and not-for-profit organisations. 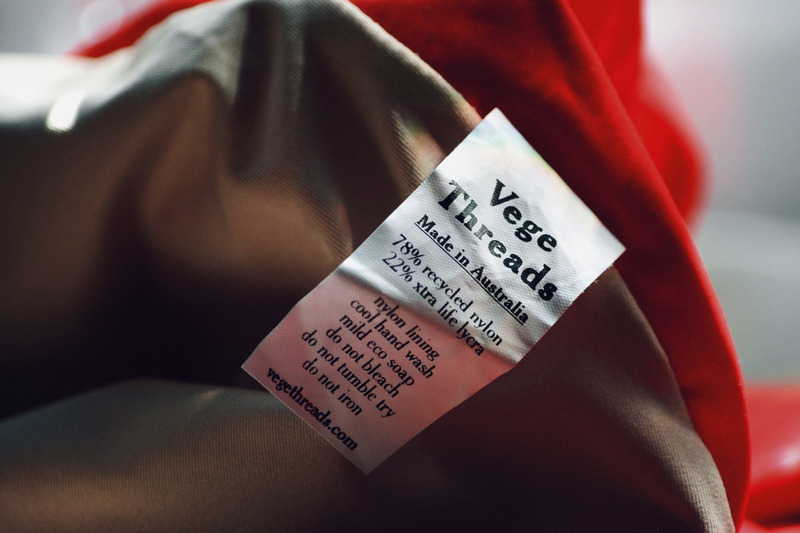 Vege Threads uses four types of fabrics in their current collection and manufacture 80% of these fabrics in Melbourne. Their basics range and yoga wear are made with Global Organic Textile Standard certified cotton yarn, grown with no pesticides or herbicides, and knitted at local Melbourne mills. This certified organic cotton is far less environmentally detrimental than standard cotton and far softer! The brand has a stunning range of Hemp Linen basics. Hemp is undoubtedly the most eco-friendly crop to grow as it has little to no need for fertilisers and can grow almost anywhere. Hemp is also the most UV resistant fabric! 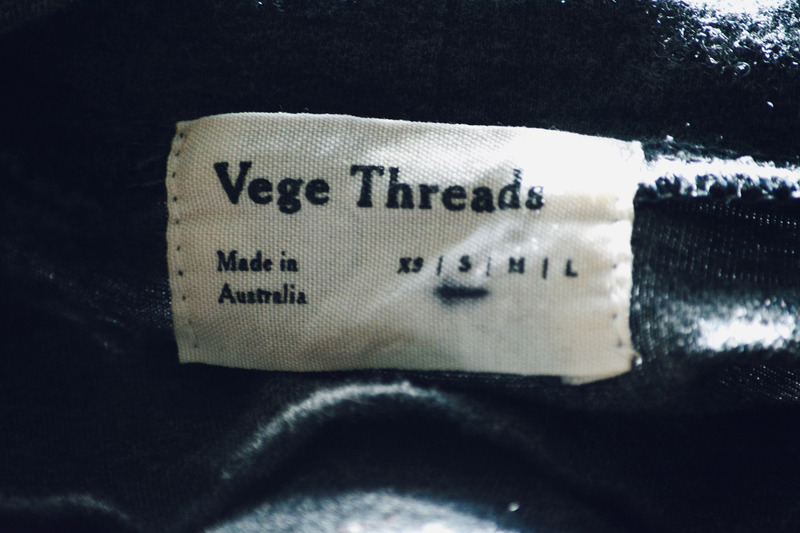 Vege Threads’ Merino wool pieces are Woolmark accredited and knitted and dyed in Melbourne. However, one of the largest hindrances to the brands’ transparency is that this wool is required to be sent overseas to be processed. Vege Threads is, however, working towards a more traceable supply chain for this fabric. My recent favourite is their Eco Swim line, made in Italy from ECONYL nylon, a fabric created from recycled post-consumer waste. Vege Threads’ yoga wear uses natural plant dyes sourced from plants in Bali. A family run facility in Bali then dyes the fabric for Vege Threads’ yoga wear range. The brand also uses non-toxic Australian Certified Organic dyes at a local Melbourne facility for pieces outside the yoga wear range. The classic Baywatch one piece with a scoop neckline and low back. Made from 78% ECONYL recycled nylon and 12% LYCRA XTRA LIFE Lycra, my eco swim one piece is definitely coming to Hawaii with me! While my bright blue slip dress is mostly sold out, Vege Threads has made their very similar Organic Singlet Dress in so many versatile colours! Made ethically in Australia from soft, 100% organic cotton, this design is so perfect for layering. I love me a good-old turtleneck. 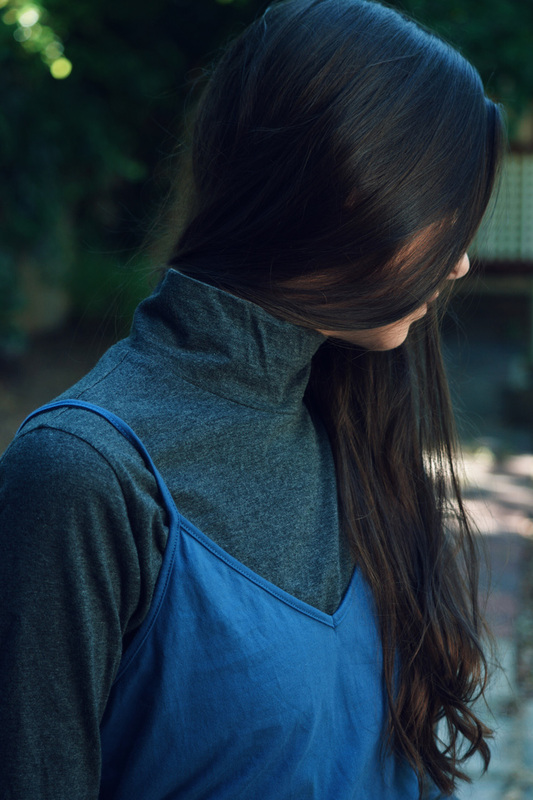 This long sleeve top is also made ethically in Australia from Vege Threads’ organic cotton. If I could, I’d never take it off – it is simply that cosy. I bought this one in Tasmania to keep me warm and it sure did its job! However, I’ve noticed that I can still get away with wearing this top on cooler days here in Perth as well. *This post isn’t paid or sponsored. I just really love Vege Threads.